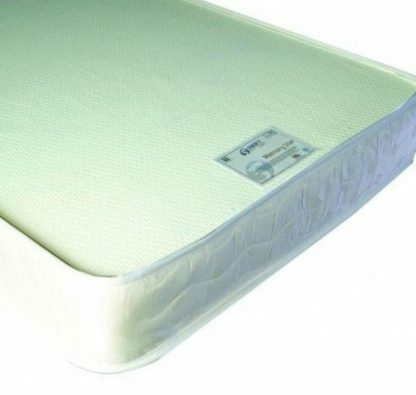 The Swift 5ft king size Memory 100 mattress has an overall depth of´14cm and consists of 10mm of memory foam on top of enhanced high density foam with a high-resilience core and. Covering the mattress is a soft damask fabric, with a micro quilted damask border. Manufactured to be totally hypoallergenic which significantly helps to reduce dust mites. The Swift 5ft king size Memory 100 mattress is suitable for metal/pine beds and divan bases. Please allow up to 7 days for delivery of your new Swift 5ft memory 100 mattress.